Regarded as the Number 1 choice in the industry, Sioux Tools’ pneumatic drills are known around the world for their exceptional engineering and construction. A wide range of configurations, speeds, and options ensure a perfect match for any application. 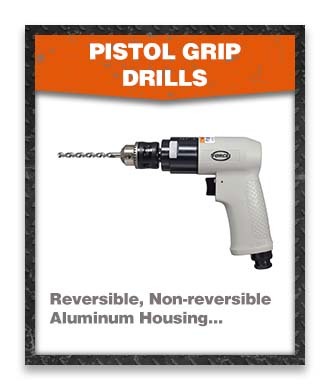 Choose from pistol grip, inline and right angle designs that will help you get the job done fast and efficiently. Sioux also offers a complete line of accessories including a huge section of hole saws. 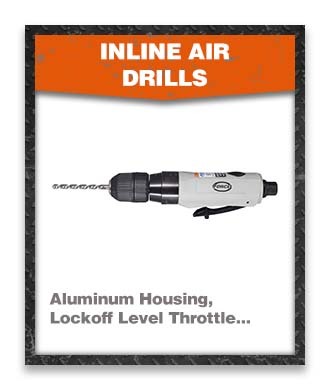 Sioux Tools offers one of the widest selections of drills on the market today. 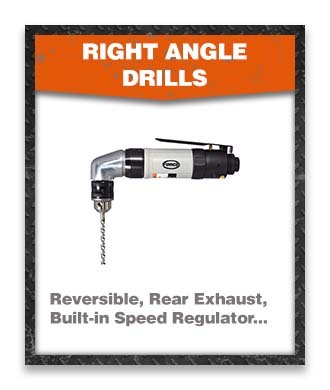 With free speeds from 550 to 2,500 rpm we have the right drill for any application, for use with any type material. The gears are designed and built tough to handle demanding jobs, yet even under load, operate quietly and efficiently. Sioux drills come in both reverse and non-reverse models. All Sioux Drills offer ergonomic features to provide maximum comfort during operation. Many models include comfortable insulating grips to reduce cold and vibration. Due to the high torque output, model 5450R includes a auxiliary support handle for more control.